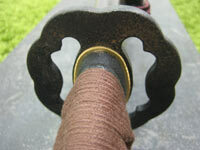 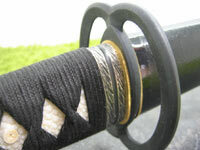 For Iaido An iaito is an imitation katana that is used for practicing the Japanese sword drawing arts such as Iaido for example. 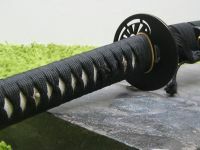 These well crafted iaito katana are made by the Hanwei forge of Paul Chen and suitable for studying the art of Iaido.All of these iaito swords are lighter than the authentic japanese swords (shinken) and does have a blunt edge. 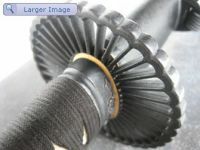 Iaito swords are intended as practice weapons only and are not suited for cutting tests (tameshigiri) or any type of contact at all !